Soccer in the Streets empowers youth in urban Atlanta through soccer through character development, and employability programmes based on the premise that all children should have an equal opportunity to succeed. Since 1989 our organisation has strived to level the playing field for all, affording access to the sport regardless of race, religion, or socio-economic status. Taking a holistic approach, we reach kids on and off the field, through soccer leagues and clinics, in small-group classroom sessions, through hands-on experiences and activities, and participation in youth leadership councils. The organisation has a special emphasis on refugee families attempting to integrate into a new way of life in the U.S.
Soccer in the Streets has pioneered soccer for social change with support from organisations like the US Soccer Foundation, Coca-Cola Foundation, the Atlanta United Foundation and FIFA Football For Hope. The Life Works development programme focuses on employment preparation for teenagers and the Positive Choice curriculum bring character development skills to elementary and middle school kids. In 2017, the organisation served 5,000 kids through school-based and community programmes. 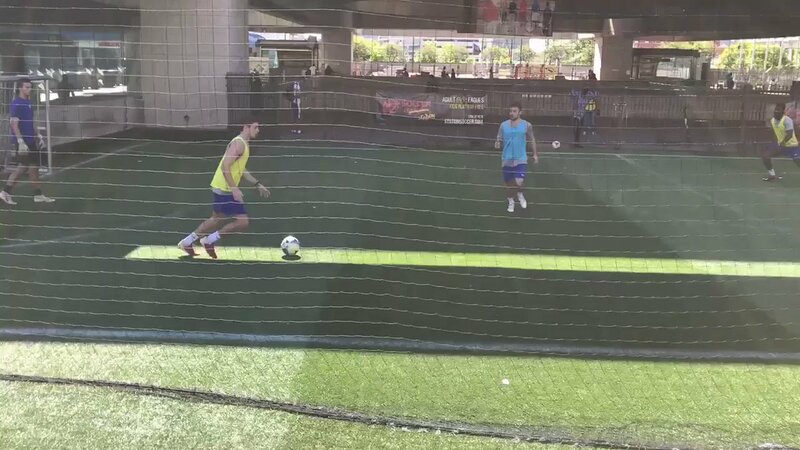 In 2016 Soccer in the Streets launched an innovative new transit-based soccer initiative to help kids to travel to play. Working with the city's metro rail provider and the Atlanta United Foundation, plus funding partners such as the US Soccer Foundation, the organisation opened the world's first soccer field at a train station. The plan is to expand the programme to nine additional stations and create a new model for social impact across the city. The initiative received innovation awards from Beyond Sports and the US Soccer Foundation. 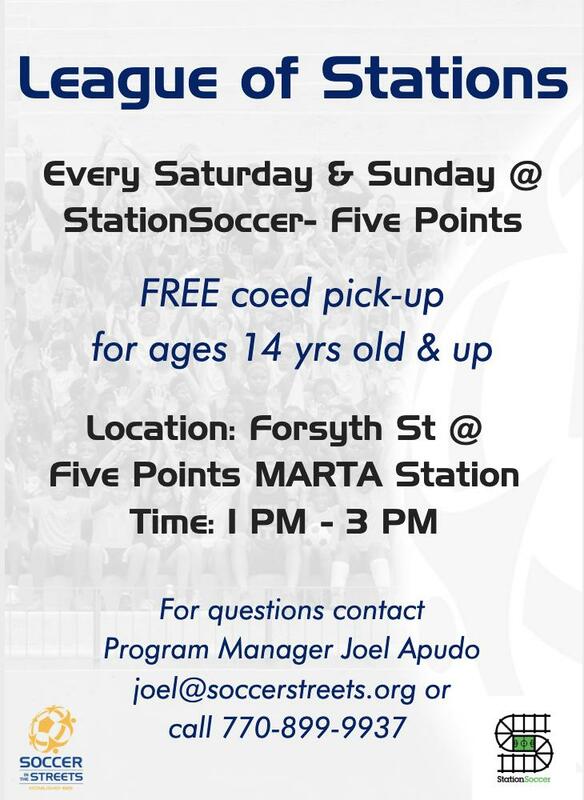 Saturday and Sunday StationSoccer- Five Points pick up is cancelled for Easter weekend!